We Make Freight Shipping Service Affordable To All! Freight shipping service can be very beneficial to move large items like palettes of Auto Parts, Aircraft Engines, and Luggage from one area of the U.S to another or overseas. Unlike the UPS and FedEx Ground, Freight shipment can exceed the 75 Lbs limit and the dimensions restrictions set by FedEx, UPS, and the Post office. It is also a very affordable option for moving or shipping bulky items thanks to the competitive nature of the freight industry. Neighborhood Parcel has decades of experience shipping small and large freight cargo, across town or the Atlantic, we have negotiated some aggressive rates and freight lanes that are proven to get your shipment delivered quickly and a fraction of the cost others charge. Quoting less than truckload freight shipments is fast, easy and free. LTL freight shipment can save you up to 60% off ground shipments. While you share the space of a container load with others, you also share the benefits and the discount of FCL without committing to a Full Container Load pricing. The carrier does not want to move empty trailers from one area to another and loves the idea of having customers share the space to maximize their savings and optimize carrier efficiency. At Neighborhood Parcel, we’ll give you a list of competitive LTL shipping rates from carriers you can trust. We can help you crate, palletize your shipment for safe transport at fraction of the cost others charge. 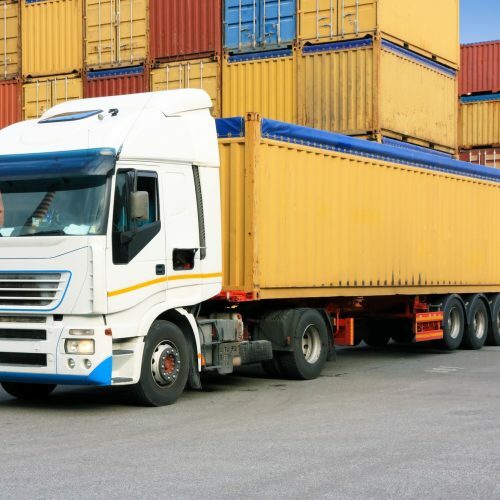 We can also accommodate services beyond typical dock to dock transportation, including lift gates, residential shipping, notification options, inside pickup and delivery, and heavy LTL shipping services. Full truckload carriers specialize in transporting large loads that may fill the entire trailer of a truck or a container tugged by the truck. Since the load is exclusive to one customer it is assumed that the transport involves one point of pickup and one point of delivery. Boston MA area businesses and residents around the Town Of Tewksbury MA can now take advantage of Neighborhood Parcel‘s extensive network of carriers to receive competitive rates to ship FTL freight to anywhere in the U.S.
safely ship a fragile item that is heavy but valuable. Shipping packages on a pallet is another great way to ship cheap! Palettes are often made out of heat treated wood and suitable for export worldwide. Usually, the boxes are positioned in the middle of the wooden pallets and shrink-wrapped using plastic film to keep the boxes secure and not shifting during transit. The pallets offer a convenient way to ship without investing in expensive wooden crates or containers. They are ideal for Household moves and shipping heavy Auto Parts. They allow for easy access by Forklifts and can be loaded and unloaded with ease. Finding freight shipping rates online is fast, easy and free. Sign up to get our lowest freight shipping rates and transit times from reputable carriers, who can move your shipments anywhere from the U.S. In looking to ship freight from Boston to California, I was happy to find Neighborhood Parcel. They helped me package my boxes into a Palette and dispatched it to California in less than a week. Service was top notch, the freight bill was reasonable and most importantly, the packages arrived without being damaged. Great Freight service. A+ Service.